The ultimate in modular wine walls, the Label Forward Grain & Rod metal and wood wine rack board combines VintageView’s patented and award-wining design with a simple, elegant American wood mounting system. 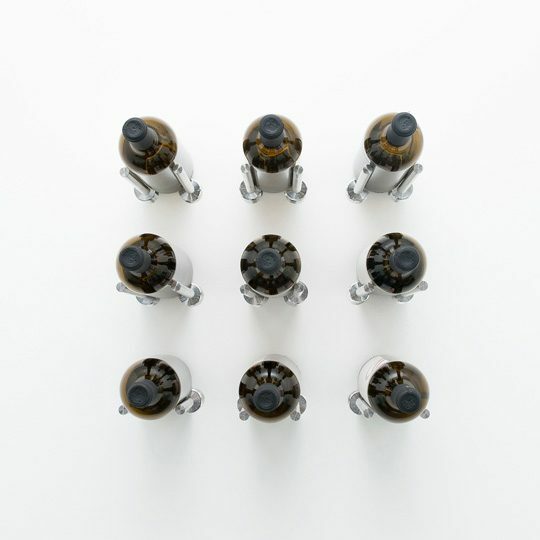 Mix and match metal and wood finishes and bottle depths (single, double, or triple) — and design a display with the stylish cork-forward option. The Mini is a versatile, tabletop display that takes our patented label-forward from the wall to any flat surface. Use your countertop to show off your bottles in contemporary style. 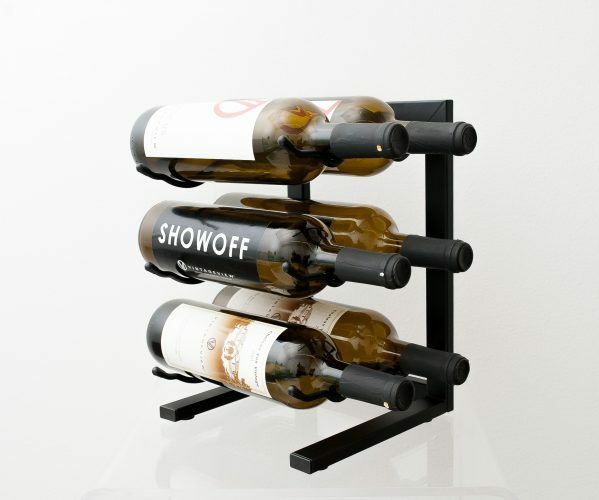 Unleash your inner designer with cork-forward wine bottle racking. 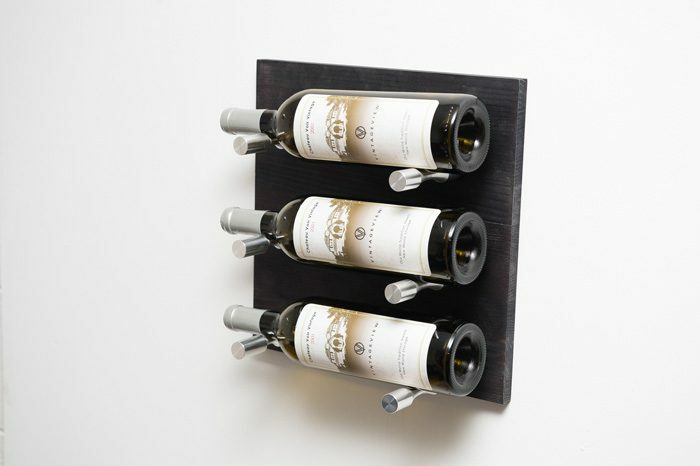 The Vino Rails Designer Kit comes with everything you need to map out and install a beautiful, cork-forward metal wine peg racking system on any wall in the home. Unleash your inner designer. 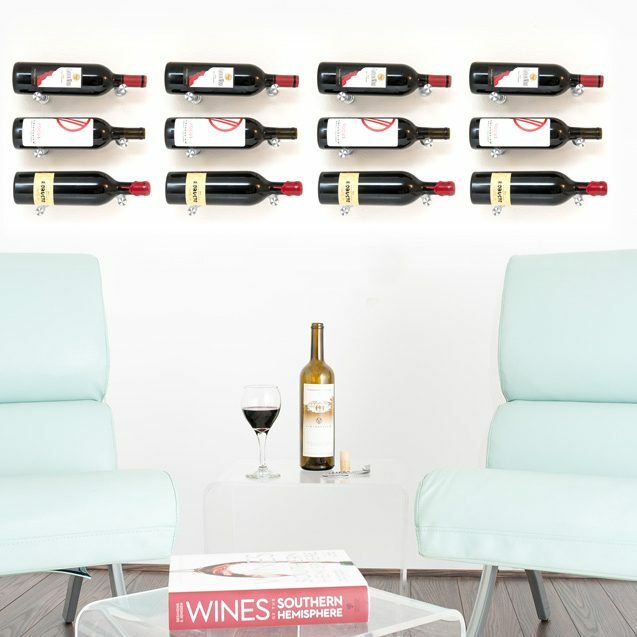 The Vino Pins Designer Kit comes with everything you need to map out and install a beautiful, label-forward metal wine peg racking system on any wall in the home.